We value your safety and experience! That's why we provide Insurance Discounts up to 50% based your Insurance Experience and Safety Score. 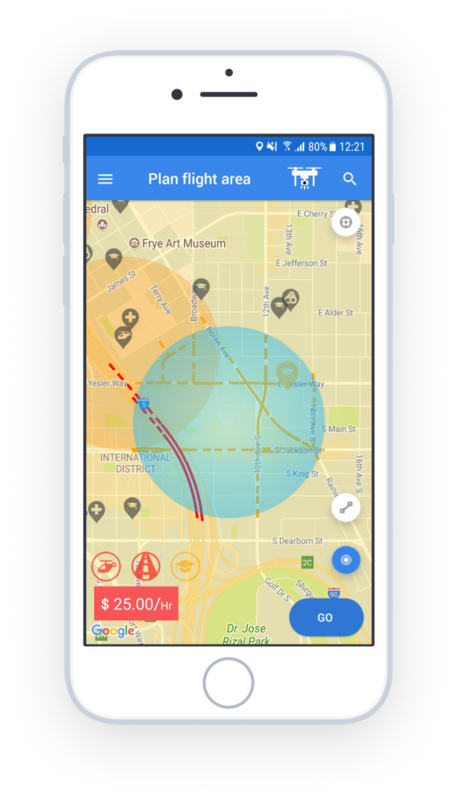 When sharing your flight data*, our unique algorithm analyzes your drone's telematics and allows you to see how safe you flew. 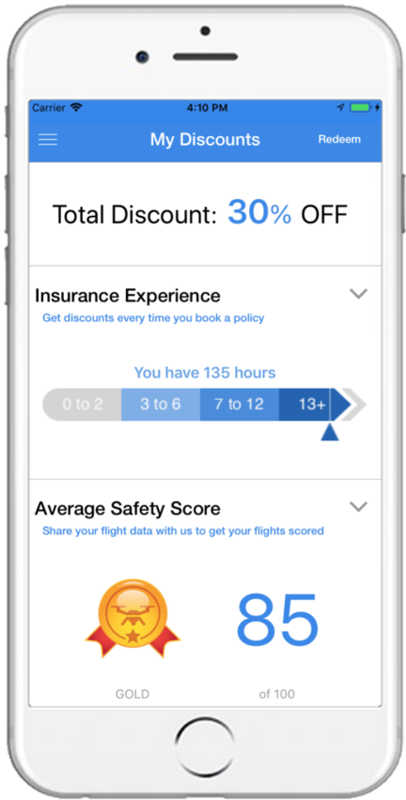 After a few flights you will get our proprietary Safety Score analysis (so you can improve on your next flight) and an appropriate discount. Flying safely over time and having a no-claim history will get you an additional discount on your premiums. When purchasing a monthly plan you will get an additional Insurance Experience discount every consecutive month without a claim. * Sharing flight data can be done by either flying with the SkyWatch.AI DJI compatible flight module OR by sharing past flight logs via DroneDeploy. Alternate sharing methods are available via support@skywatch.ai. Note 1: A minimum of 5 flights is required to get a final score. Flight duration should be at least 5 minutes. Note 2: Using the flight module is OPTIONAL and won't affect your coverage. Once the insurance is active you can fly with any controller app/device you want. Can I use multiple drones within the same policy? Yes! 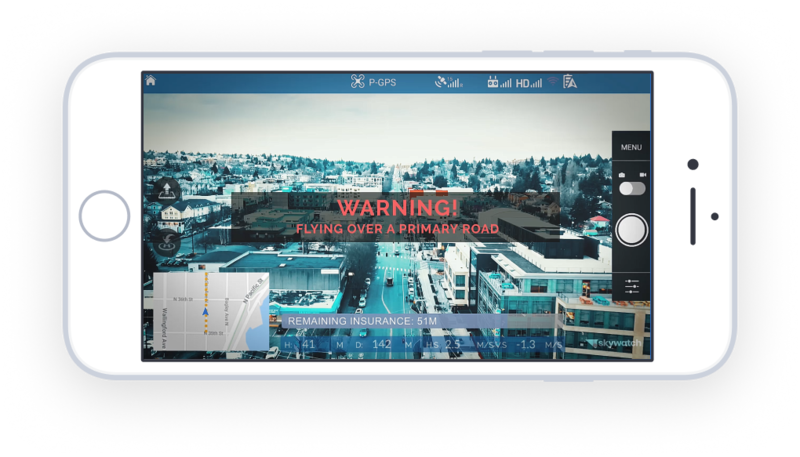 SkyWatch.AI liability coverage will cover multiple drones under one policy with no additional cost, as long as only one drone is in the air at any given time. In the case of simultaneous drone flights, you'll need a separate policy for each drone/operator.Hull insurance can include all of your drones and equipment under one monthly policy. Can I cancel my pre-booked policy? You can cancel any pre-booked policy as long as the cancelation order is at least 10 minutes before the scheduled date and time. Your account will be fully refunded for that policy. My client requested to be named as an additional insured. How do I do that? Is there an additional cost? Adding your client (whether a person or a company) or your co-pilot as an additional insured will allow them to get the same liability coverage under your policy. You can simply add additional insured in the Insurance Details right before purchasing coverage. The additional insured entities will be named in the Certificate of Insurance (COI). And good news, adding an additional insured is free and changeable directly from the SkyWatch.AI app. Which states does SkyWatch cover? You can fly with SkyWatch anywhere in the world. However, insurance is currently available to US citizens in over 47 states.